Our region is comprised of four key service areas which include: the Winston-Salem area, Mount Airy area, Kernersville area, and Davie County area. To see the centers within each of our service areas, select ‘locations’ on the menu to the right or scroll to the bottom of the page. We are a compassionate, spiritually-integrated and community-based care organization affiliated with Wake Forest Baptist Health. As one of eight regions in the CareNet Counseling family, our center is committed to improving the mental health of our region and the counties we serve. We are supported in our mission by highly-engaged boards in each of our four key service areas above, made up of religious, business and professional leaders with one driving goal – making sure everyone has access to our counseling services and educational programs regardless of their ability to pay. Our non-profit boards and volunteers plan events to help support CareNet Counseling’s fundraising efforts in the communities we serve. Join us for a community lunch and learn, movie screening and panel discussion about anxiety, how it affects our children and teens, and helpful tips and resources. 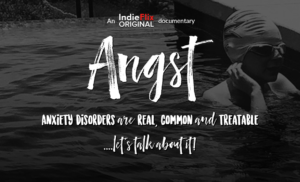 We will be viewing the movie Angst and having a panel discussion afterward that will include a top child psychiatrist in our area, a nationally known pediatrician who specializes in mental health in children, three CareNet counselors and CareNet President Steve Scoggin as moderator. How to identify and understand the symptoms of anxiety. The causes of anxiety and its sociological effects. The prevalence of this very common mental health challenge, impacting 54 percent of females and 46 percent of males, with age seven being the median age of onset, (according to the World Health Organization). The symptoms of a panic attack caused by anxiety. The powerful stories of many kids and teens who discuss their anxiety and its impacts on their lives and relationships. About the help, resources and tools available to address the condition. This event is free, but don’t forget to register here! Thank you to our generous Gold Sponsors and to sponsors of all levels! It’s better than ever! New location on the recently refurbished links of the Championship Course at Tanglewood! Awesome outdoor barbequed hamburgers and chicken sandwiches cooked fresh by the Loop! You won’t want to miss this one. You can also sign up to sponsor golf for first responders and caregivers in our region. And all proceeds go to help support mental health. Click here for more information. 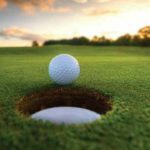 13th Annual CareNet Counseling Golf Tournament – Thank you! Thank you to our generous sponsors and all who participated in our 13th Annual CareNet Counseling Golf Tournament! We had a beautiful day of golf, fellowship and raised funds important to our mission. Click here to see more from the tournament. 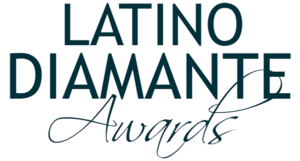 We are proud to announce that our own Camila Pulgar recently received the Diamante Award in the Health and Sciences category for her work in organizing for better health and mental health services for Latino groups in Forsyth County. Click here to read more! Every counseling hour we provide costs us an additional $20 over the fees we accept and collect from insurance (including Medicaid and Medicare), co-pays, and clients who pay for the full cost of counseling. For the Piedmont Triad region, that is about $280,000 that we need to raise to ensure our high-quality spiritually-integrated services can continue in the area. Our costs are higher than some other counseling centers because we offer free care to those who do not have insurance, and also offer sliding scale payment options and client assistance to those who qualify. We offer counseling services to persons who are uninsured or who have unaffordable co-pays and deductibles. One of our greatest needs is to increase funding for our Samaritan Client Assistance Fund, which is a local subsidy used to offset costs of professional care for those who cannot afford to pay. This is a key part of the mission and ministry of our local boards, our counselors and our support staff. We deliver presentations to civic, religious and professional groups about topics related to mental health and whole person wellness. Please contact us to plan or design a presentation tailored to your group’s specific needs. Soul Shop is a six-hour faith-based suicide prevention program that teaches Christian leaders how to minister to those suffering from suicidal desperation. Soul Shop for Youth Leaders is similar to Soul Shop, however, it focuses on how to minister to youth who are in suicidal desperation. To learn more or sign up for one of our upcoming workshops, please call us. In addition, we are continually collaborating with key partners in the communities we serve to develop programs that address important mental health topics. Please contact us to learn more or share your thoughts on what else we can be doing to improve the mental health of our community. 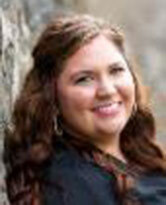 Juliana Blanton is a Licensed Professional Counselor Associate (LPCA) and National Certified Counselor (NCC). She joined CareNet Counseling as a clinical resident in 2018. She earned her Master of Arts in Clinical Mental Health Counseling from Appalachian State University, along with certificates in Expressive Arts Therapy and in Systemic Multicultural Counseling. She earned her Bachelor of Arts from UNC Chapel Hill. Juliana has experience working with child, adolescent, and adult clients. Her clinical interests include life transitions, depression, anxiety, trauma, identity formation, relationship issues, spirituality, and grief/loss. She is passionate about trauma-informed care and holistic approaches to healing in counseling. Aquita Burrus is a Licensed Clinical Social Worker who joined CareNet Counseling as a clinical resident in 2016. She holds a Certificate in Interdisciplinary Aging from the University of North Carolina at Chapel Hill, a B.S./B.A. from Salem College, and a master’s in social work from Boston University School of Social Work. Aquita works with clients to improve their relationships, health and overall quality of life. She has experience in specific therapies for depression, bipolar, anxiety, Post-Tramautic Stress Disorder and trauma. She helps clients draw from their own strengths while building new skills through cognitive behavioral therapy (CBT), dialectical behavioral therapy (DBT), motivational interviewing, and mindfulness practice. She believes everyone has the strength within themselves to cope when they are educated about their condition, given treatment options and equipped with practical skills. She enhances personal awareness by acting as a mirror to reveal strengths and areas for growth. Her clinical interests include: aging parent/caregiver issues, mood disorders, trauma, stress, anxiety, depression, low self-esteem or lack of fulfillment, and integration of mind, body, and spirituality into therapeutic practice. Leah Creel is a Licensed Professional Counselor and National Certified Counselor who joined CareNet in 2013. After graduating from Wake Forest University with a Master of Divinity (MDiv) and Master of Arts in counseling, Leah completed a three-year residency in Spiritually Integrated Psychotherapy through CareNet and Wake Forest Baptist Health. Leah’s experience includes collaborating with children, adolescents and families through life transitions and stressors, and currently provides psychotherapy and integrated care in two Wake Forest Baptist Health pediatric clinics. 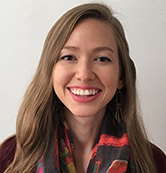 Leah incorporates a variety of theoretical perspectives into her work with individuals and families and is trained in Eye Movement Desensitization and Reprocessing (EMDR) and Trauma Focused – Cognitive Behavioral Therapy (TF-CBT). She is also a Community Resiliency Model (CRM) instructor. 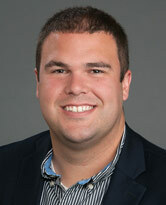 Will Eads joined CareNet as a clinical resident counselor in 2013. Will earned a M.Div. from Wake Forest University School of Divinity and a Bachelor of Science from Appalachian State University. His areas of interest and experience in counseling include: lifespan development and aging, depression, anxiety, couples therapy, children/adolescents, grief/loss, trauma/addiction, and religion/spirituality. Will is a Fellow in the American Association of Pastoral Counselors and a certified facilitator in Prepare/Enrich. He is a licensed and ordained minister and a Salem Presbytery approved pastor supply currently serving as pastor of Francisco Presbyterian Church. He is a student at Gordon-Conwell Theological Seminary pursuing a Doctorate of Ministry in marriage and family therapy, as well as a student at Graduate Theological Foundation pursuing a Doctorate of Psychology. Will is a North Carolina Fee Based Practicing Pastoral Counselor. 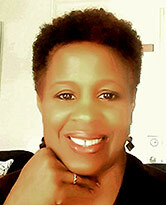 Carol Ebron is a Licensed Professional Counselor Associate and National Certified Counselor. She joined CareNet Counseling as a clinical resident in 2016. She received a Master of Arts in clinical mental health counseling from Wake Forest University. Carol has experience working with adults of all ages in individual and groups settings. Her clinical areas of interest include grief and loss, anxiety, depression, caregiver stress, self-esteem, life transitions, career counseling, and finding balance and meaning. 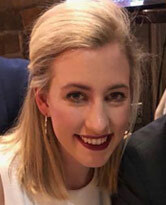 Samantha Fields is a Licensed Professional Counselor Associate who joined CareNet Counseling as a clinical resident in 2018. She earned her Master of Arts in clinical mental health counseling from Wake Forest University. Samantha has experience providing counseling services, including substance abuse counseling, to adults of all ages in individual and group settings. Her clinical areas of interest include adult ADD/ADHD, substance abuse, mood disorders, anxiety, self-esteem, grief and loss, caregiving concerns, stress management, life transitions, career exploration, relationships, and finding meaning and life purpose. Jeremy Fox joined CareNet Counseling as a clinical resident in 2016. 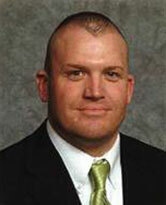 He is a Licensed Professional Counselor and National Certified Counselor. 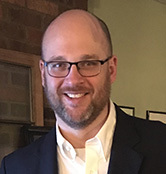 Jeremy’s education includes a master’s in counseling and an Education Specialist degree in couples and family counseling from the University of North Carolina at Greensboro. He also earned a Master of Divinity from Wake Forest University and a Bachelor of Arts in religion from Campbell University. Prior to joining CareNet, Jeremy has served as a minister in a local church, a counselor in an opiate treatment program and a private practice counselor. Jeremy’s clinical interests include depression, anxiety, grief/loss, men’s concerns, anger management, life transitions, stress management and spirituality. Morgan Goforth is a Licensed Professional Counselor Associate who joined CareNet Counseling as a clinical resident in 2016. She earned a Master of Arts in mental health counseling and a Bachelor of Science in psychology from Campbell University. She provides counseling to children, adolescents, adults, couples and families in individual and group settings. Morgan’s clinical interests include anxiety, mood disorders, family conflict, identity and self-esteem issues, stress management, life transitions and marital counseling. 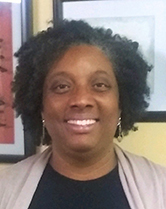 Deborah Morton is a North Carolina Licensed Professional Counselor-Supervisor who joined the CareNet staff in 2013. Deborah is also a National Certified Counselor through the National Board of Certified Counselors. She has practiced in community-based chemical dependency programs, hospital-based group therapy programs, physician practices and private practice, and she brings over 23 years of experience in individual, group and couples therapy. Clinical areas of interest include grief and loss, depression/mood disorders, anxiety disorders, boundary/relationship issues, caregiver stress, and life transitions. She is also available for presentations to community organizations. 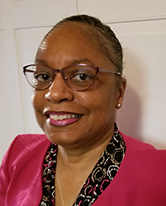 Deborah received her undergraduate degree in psychology from the University of North Carolina at Chapel Hill in 1978 and her Master of Arts in counseling psychology from the University of North Florida in 1990. Taylor is a clinical resident who joined CareNet in 2018. She attended Davidson College for her undergraduate degree and graduated in 2014. In May 2018, she graduated from Wake Forest University with Master’s degrees in Counseling and Divinity. Taylor’s clinical interests include eating disorders, trauma, addiction, identity formation, families, and women’s issues. She is a Licensed Professional Counselor Associate (LPCA), a National Certified Counselor (NCC), and a Registered Yoga Teacher (RYT-200). 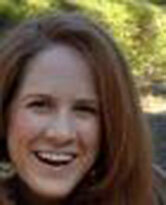 Adrienne Reich joined CareNet Counseling in November 2011. She has her Master of Arts in community counseling from the University of North Carolina at Charlotte. She is a Licensed Professional Counselor and a Licensed Clinical Addictions Specialist. She has 10 years of experience working with individuals, families and couples. Her areas of interest include: marital counseling, substance abuse, eating disorders, depression, parenting, stress management, anxiety, work-life balance, infertility and postpartum depression. 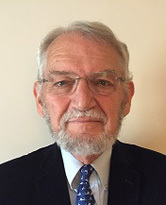 Ron Wachs is a Licensed Professional Counselor-Supervisor. 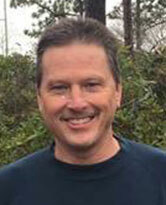 He is an ordained United Methodist minister with over 15 years of service in parish ministry. After completing his clinical training in 1992, he worked as apart-time therapist at Baptist Hospital until becoming full-time in 2001. Having previously earned an M.A. 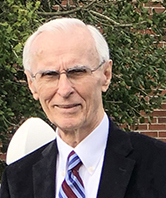 from Wake Forest University and a Ph.D. from University of North Carolina at Chapel Hill, he taught History at Atlantic Christian College, now Barton, from 1968 to 1983. His areas of clinical interest include: depression, grief and loss, life stage transitions, issues of aging and Eye Movement Desensitization Reprocessing (EMDR). 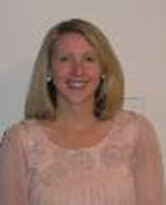 Amanda Whicker is a Licensed Professional Counselor who joined the CareNet staff in October 2010. She previously worked at Baptist Children’s Homes and Family Services of Davidson County. Amanda provides counseling to individuals, adults and couples with anger issues, anxiety, loss and grief, relational issues, as well as most forms of personal and marital issues. Amanda has a particular interest in working with couples and adults, both men and women. Amanda earned a Master of Arts in marriage and family counseling , a Master of Arts in Christian education from Southwestern Baptist Theological Seminary in 2006, and a Bachelor of Arts in psychology from the University of North Carolina at Charlotte in 2001. Amanda was licensed as a Professional Counselor in 2010. 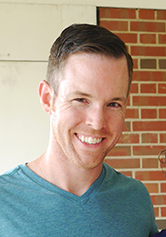 Will Eads joined CareNet as a clinical resident counselor in 2013. Will earned a M.Div. from Wake Forest University School of Divinity and a Bachelor of Science from Appalachian State University. His areas of interest and experience in counseling include: lifespan development and aging, depression, anxiety, couples therapy, children/adolescents, grief/loss, trauma/addiction, and religion/spirituality. Will is a Fellow in the American Association of Pastoral Counselors and a certified facilitator in Prepare/Enrich. He is a licensed and ordained minister and a Salem Presbytery approved pastor supply currently serving as pastor of Francisco Presbyterian Church. He is a student at Gordon-Conwell Theological Seminary pursuing a Doctorate of Ministry in marriage and family therapy, as well as a student at Graduate Theological Foundation pursuing a Doctorate of Psychology. Will is a North Carolina Fee-Based Practicing Pastoral Counselor. 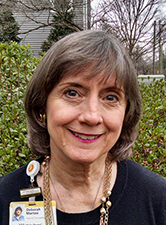 Linda M. Gatchel received her Master of Social Work in clinical social work from Virginia Commonwealth University in 1979. She was licensed in Virginia in 1983 and later in North Carolina in 1994. 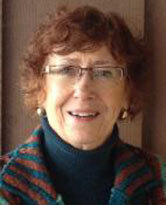 She brings with her 30 years of community mental health and private practice experience. Linda is experienced in consultation and education services for individual, couples and group therapy. Her preferred age groups are older teens, adults and geriatrics, and her areas of special interest include: anxiety, depression, bipolar disorders, adjustment and phase-of-life issues, Post-Traumatic Stress Disorder, dialectical behavioral skills, loss and grief, as well as relationship issues. David Sylvester is a Licensed Professional Counselor who joined CareNet in 2010. Prior to that he was a CareNet clinical resident from 1999 until 2002 and President of Counseling Solutions, Inc. in Wilmington, N.C. from 2002 until 2010. He earned his Master of Arts in marriage and family therapy and counseling from Reformed Theological Seminary in 1999 and his Bachelor of Arts in social work and criminal justice from University of North Carolina at Winston-Salem in 1978. David has previous career experience as a crisis intervention specialist, outdoor adventure counseling trainer and school student services director. He is certified in Prepare/Enrich for premarital and marital enrichment and DISC personality profiles. His approach emphasizes the interconnectedness of spiritual, psychological and relational health. He works with couples, families and individuals (middle school age and older), with a variety of issues including: premarital, marital, parenting, intimacy, depression, anxiety, trauma, spirituality, sexual compulsions, ADHD, and school and workplace issues. Dr. Richard Horn is a Licensed Marriage and Family Therapist and is certified by the American Association of Pastoral Counselors at the Fellow Level. He works with individuals, couples and families. An ordained minister with the United Church of Christ, Dr. Horn received his D.Min. in psychology and clinical studies from Andover Newton Theological School in Massachusetts. Previously, he was director of the Samaritan Counseling Center of South Florida in Ft. Lauderdale and the Executive Director of the Samaritan Center of North Central Florida in Gainesville. Carleton Irving is a Licensed Professional Counselor and has been with CareNet since 2009. Additionally, he has experience with adolescents in a group home setting. He counsels adults, children, adolescents, families, parents and couples. Carleton works with life transitions, depression, anxiety, career counseling, marriages, relational dynamics and spiritual topics. His particular areas of interest include: identity or self-esteem concerns, men’s issues, grief and parenting. 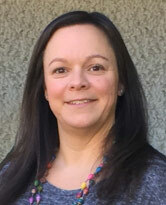 Carleton earned a Bachelor of Arts from Guilford College in 2000 and a Master of Arts in professional counseling from Liberty University in 2010. Adam Ridenhour is a Clinical Resident with CareNet Counseling and the Staff Chaplain at Wake Forest Baptist Health – Davie Medical Center. He is a minister affiliated with the Cooperative Baptist Fellowship. Adam is a graduate of Catawba College (B.A. ), Wake Forest University School of Divinity (M.Div. ), and Wake Forest University Graduate School (M.A., Counseling). He holds active licensure in North Carolina as a Licensed Professional Counselor Associate (LPCA) and is a National Certified Counselor through the National Board of Certified Counselors. Adam has experience in working with adults of all ages in individual and group settings. His clinical areas of interest include grief and loss, life transitions, depression, anxiety, stress management, trauma and spirituality. The Davie County Area is currently seeking new community board members to assist our ministry at the Mocksville and Davie Hospital locations. The increase in the number of counseling hours we are providing in the communities we serve. The total dollar value of the free and reduced care we have provided to clients this year through August 31, 2017. Remember, it’s because of donations from organizations, service clubs, corporations, foundations and individuals like you, that we’re able to provide these critical counseling services for the communities we serve here in the Piedmont/Triad Region. You can donate securely online through Network for Good using your credit card or PayPal below with either a single gift or recurring monthly, quarterly or annual gift. We always need volunteers to serve on our board and committees, as well as help at the center and at events. If you are interested in volunteering please contact, Center Director, Barbara Saulpaugh at bsaulpau@wakehealth.edu or 336-716-0854.